With over 170,000 miles of track in the United States, rail is the single most valuable asset of most railways. 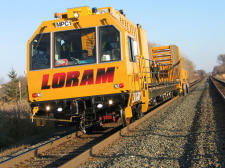 Extending the life of the rail by rail grinding is considered the single most effective maintenance practice to control the effect of rolling contact fatigue, restore profile and maximize value from the rail asset. 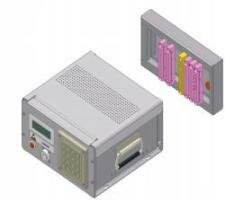 HARTING has designed a unique coatless zinc die cast housing for the train control module "MITRAC" by Bombardier. 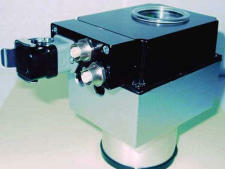 The housing is designed for female type F and MH crimp connectors which are fixated in the housing without screws. Anyone who travels long distances in Germany by train today takes the ICE as a matter of course. The ICE slogan “twice as fast as a car, half as fast as a plane” stresses the great strength of the ICE speed. To many travelers the ICE is a synonym for high speed combined with high travelling comfort. The ICE is “the” high-tech product of Deutsche Bahn. 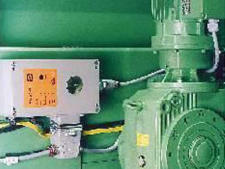 Power-transmission connectors are at work here; the traction-bogie motor is connected via the Han® K 3/0 in the Han® HPR housing. The Ziehm 8000 is a state of the art mobile C-arm – well regarded for its mobility and simple operation. 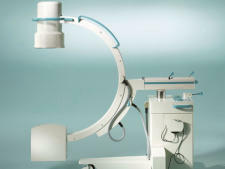 It is equipped with a sophisticated radiograph providing the highest image quality and excellent reliability. Switches Ethernet de HARTING junto a los conectores y al sistema de cableado HARTING RJ Industrial para redes industriales en la planta de producción de acero de SIDMAR. Rainer Schmidt & Simon Seereiner Effective communication is increasingly becoming an essential part of everyday personal life, as well as a decisive competitive factor in business life. 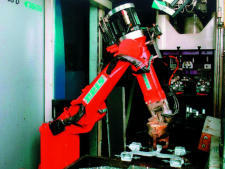 Han DD® y Han-Modular® en Reis-Robots Many casting houses are now refitting existing and installling new stations with robots to assure process automization and quality of the cast parts. 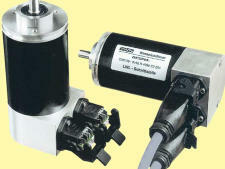 For the realisation of a „quick equipment replacement“ HARTING industrial connectors play a major role for SEW-EURODRIVE on gear motors and drive units. In 2000, Siemens Dematic undertook the extension of the Madrid-Barajas airport. 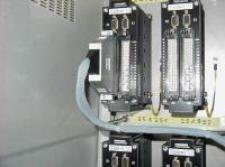 In this extension, Siemens Dematic is installing the automatic baggage handling system (BHS). The company ZENTIS with head office in Aachen is one of the leading European companies involved in the preparation of dairy and bread, also for jam and confectionary production. 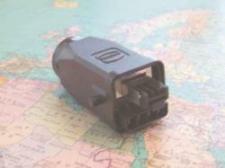 Ethernet controla los robots de soldadura en la linea de producción del modelo A-Class de Mercedes. 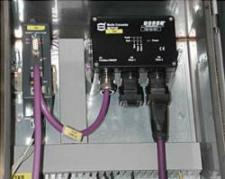 Daimler Chrysler trusts HARTING Industrial Ethernet solutions. The manufacture of high-tech products for the market of the future requires the use of complex but efficient manufacturing processes. 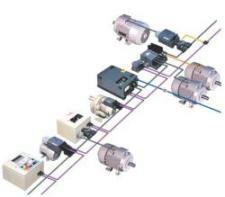 With the aid of new control and wiring concepts such processes can be implemented efficiently. 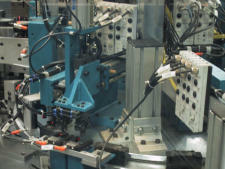 Mechanical and plant engineers are implementing distributed I/O equipment and functions across standardized interfaces. They aim to revolutionize conventional installation technology, while reducing costs. 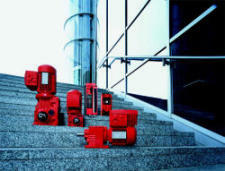 Modular designs are being used more and more in mechanical engineering. 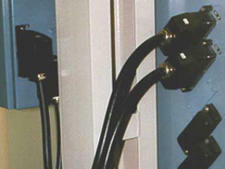 Functional units are preassembled and later assembled on site. 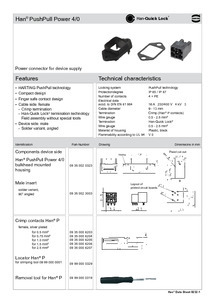 However, the individual modules have to make up a functioning unit when assembled. This applies both to mechanical attachment and to electrical connection. Everything stays the same. If you know how to install a field bus, you can install Ethernet too! 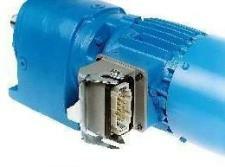 For HARTING, the first challenge Ethernet presents is providing an adequate solution to the connector problem. 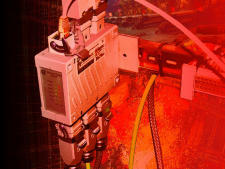 Ethernet, a driving force in industrial automation technology, has made itself synonymous with innovation. 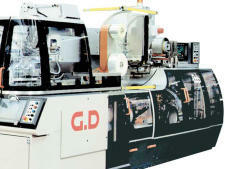 Slogans such as "vertical integration", "network convergence", "PC-based control" or "homepage for every field appliance" characterise the discussion. La conocida tecnología HARAX® realiza la terminación de los conductores por desplazamiento de aislante simplificando de este modo el proceso de conexión de sensores y actuadores. 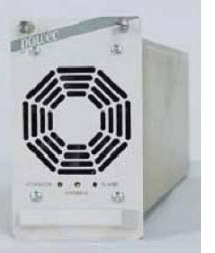 The power circuit breaker 3AP1 FI is for high voltage up to 145 kV for outside operation. 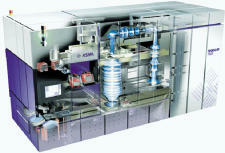 It consists of three insulator columns with one operating unit each and a shared control unit. 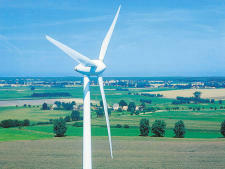 Rapid replacement of systems is of particular significance for wind turbines. 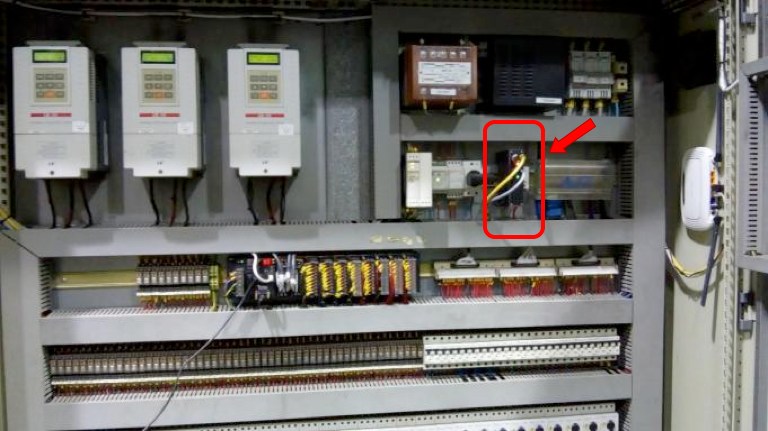 Para el cableado PROFINET se utilizan conectores PushPull como sistema de instalación unificado para la transmisión de datos y de potencia en las instalaciones de producción de la industria de la automación.